Klaus. I'm loving me some Klaus right now. 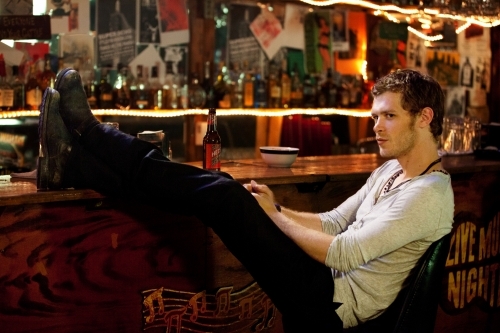 Wallpaper and background images in the The Vampire Diaries club tagged: the vampire diaries season 3 klaus joseph morgan. This The Vampire Diaries photo contains birreria and brasserie. There might also be bistro, commensale, and diner.